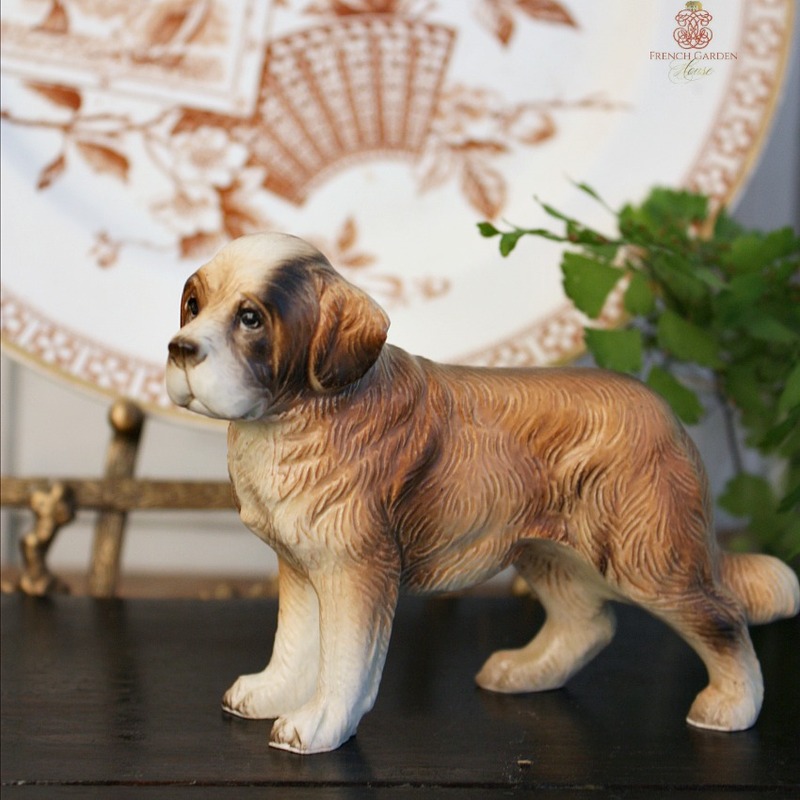 Not quite an antique, but perfect for a man's dressing room, this strong and loyal to the death model or miniature St. Bernard stands in an excellent pose, head forward and lovely long tail curving down. 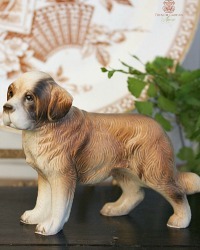 Superbly detailed with lots of fur lines, and a beautiful expressive face. 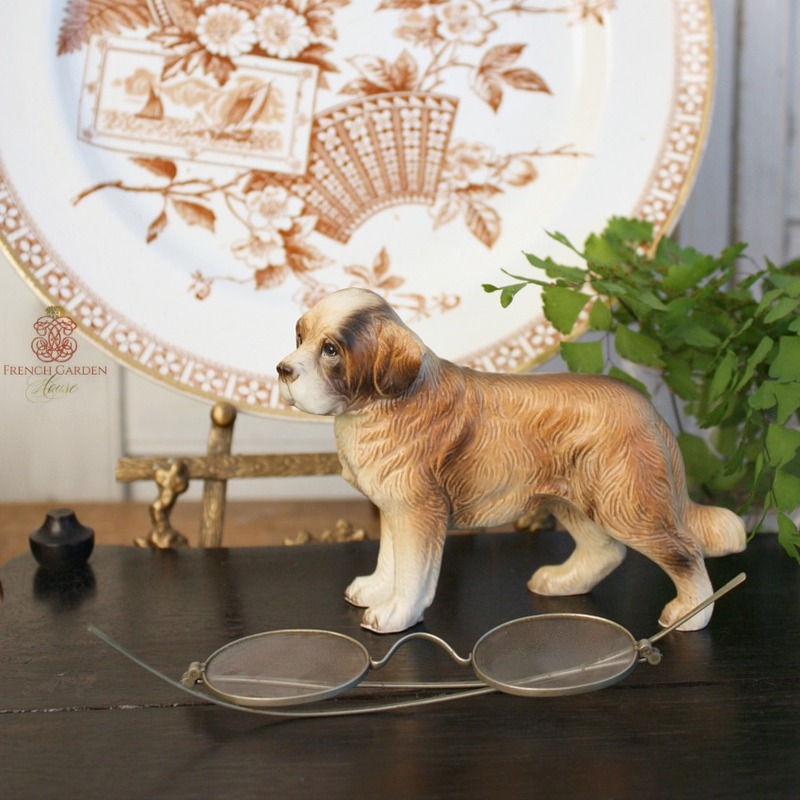 This small figurine captures the sweetness and loving nature of this dog companion. He looks his absolute best! Ready to decorate anywhere in your home, or to add to your collection. He looks especially charming in a gentleman's office or library as shown here. Marked with the number 3563 on the bottom. Measures 4-7/8" x 1-3/4" x 3-1/2"h.